THE ruling Zanu-PF party wants war veterans, seen as key allies of President Emmerson Mnangagwa, to hold key positions as part of its restructuring exercise in a move observers say is akin to militarising the revolutionary party. Most of the provincial positions come with cars and various other benefits. 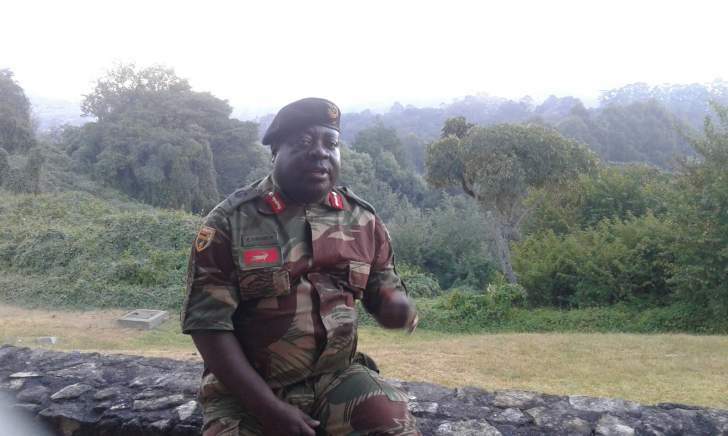 In a circular dated April 10, 2019, party commissar Lieutenant General Englebert Rugeje told provincial chairpersons that certain positions from cell to province were now reserved for war veterans. (ZNLWVA), admitted seeing the circular, but referred all questions to Rugeje saying he was the one with the timelines. "Just get hold of General Rugeje. He is the one with the timelines on when that exercise will commence because he is the one who generated that circular," Matemadanda said. Contacted for comment on the circular Rugeje said: "Sorry I can't talk right now, I am in a meeting." Zanu PF spokesperson, Simon Khaya Moyo said he was yet to see the circular because he was out of the country. "Is the circular signed? Does it have a stamp? I am going to see it today. I was out of the country so I am yet to see it," Khaya Moyo said. Analysts believe the gesture is an act of rewarding war veterans for wresting the country from colonial rule as well as helping bring to an end former President Robert Mugabe’s long rule. The war veterans also flexed their muscle before the December 2017 Zanu PF extra-ordinary elective congress where they resolutely backed Mnangagwa and managed to elbow out the G40 camp comprising of the party's ambitious young Turks mostly without liberation war credentials. Part of the circular (number 3/19) seen by Southern Eye read: "Sub: Implementation of the December 2017 extra-ordinary congress resolution on the assimilation of war veterans of the liberation struggle into party structures. "Chairman and vice chairman-if the chairman is a non-war veteran then the deputy chairman should be a war veteran or vice-versa. Political commissar and deputy political commissar-the post of political commissar and deputy political commissar from cell level to provincial level should preferably be filled by war veterans. "Secretary for security and deputy secretary for security — the posts of secretary for security and deputy secretary for security from cell level to provincial level should preferably be filled by war veterans." The ZNLWVA was launched in 1989 with the diposed Mugabe, as its patron. The war veterans continued to fight belligerently for government to recognise their liberation war roles and support their welfare, resulting in government paying them $50 000 gratuities. From then on, Mugabe embraced them to ring-fence his power and used them in often violent campaigns particularly after the inception of the MDC in 1999 to oppress civil society activists and grabbing white-owned commercial farms during the chaotic 2000 land reform programme.